Vodka and tequila come together in a fruity martini recipe. The Mexi-tini is incredibly simple, requiring just three ingredients, and its orange flavor will bring a little sunshine to your day. The Mexi-tini recipe is courtesy of Van Gogh Vodka and it features the brand's Oranje Vodka. It focuses solely on the orange flavor rather than a citrus blend found in the more common citrus vodkas. That is a nice pairing for a good silver tequila, especially when backed up by fresh-squeezed orange juice. While it's not a light cocktail, it does make a nice brunch drink and it's a fun addition to spring parties, including Cinco de Mayo. Pour the ingredients into cocktail shaker and add crushed ice. Let stand for five seconds. Shake vigorously for five seconds. 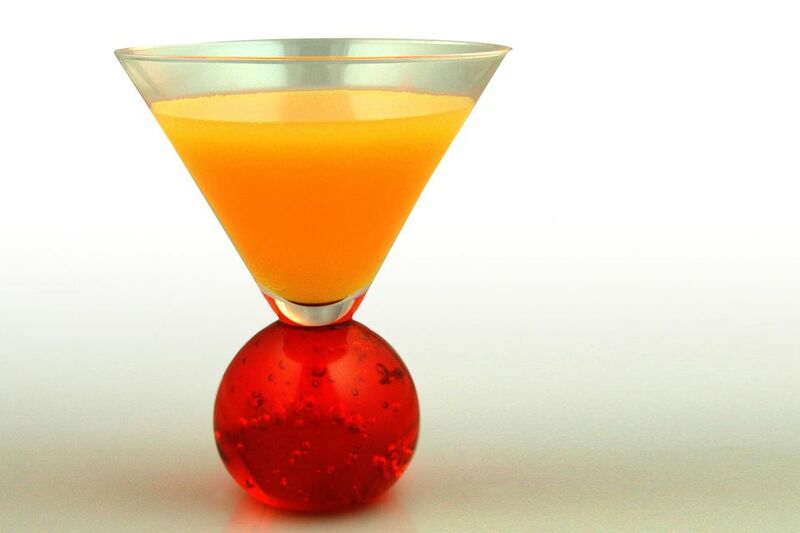 Strain into a cocktail glass and garnish with an orange slice. Fresh-squeezed orange juice will produce a better tasting cocktail. The average orange yields about 2 to 3 ounces of juice, which is more than enough for a few Mexi-tinis. Add more orange juice if you like, the recommended amount is enough to marry the two spirits but can leave the drink a little dull. An extra 1/2 ounce can help out significantly. If you don't have an orange vodka, any citrus vodka will make a fine substitute. You might find that this drink needs just a hint of sweetness. Adding 1/2 ounce of simple syrup can really bring a nice balance to the cocktail. Take a hint from the tequila sunrise and add a small amount of grenadine to the Mexi-tini. You'll add a fruity sweetness and have a beautiful visual effect in your glass if you pour the grenadine after straining the cocktail. Pouring reposado tequila is another nice option. The oak undertones from the lightly aged tequila will add a little more dimension to this drink. Since you're adding a flavored vodka, why not try a custom tequila infusion as well? It's a fun project that can result in some interesting tastes, especially if you think outside the box with something like lemongrass-ginger tequila. If tequila isn't your thing, replace it with gin. The spirit's botanicals work really well with fresh orange flavors, as seen in the classic orange blossom cocktail. How Strong Is a Mexi-tini? Whenever you pour two shots of full-proof liquor into a drink and just a small amount of nonalcoholic mixers, you should expect it to be rather strong. In fact, this is one of the strongest fruit martinis you can mix up, weighing in at a whopping 30 percent ABV (60 proof). Take it easy with this one!